Santikhiri Black Pearls is made from a Taiwanese Jin Xuan varietal grown around the Santikhiri village in Doi Mae Salong mountain area of northern Thailand. Almost fully oxidised, it is similar to a dark oolong. The amber liquor has a sweet nutty aroma. The taste is smooth and creamy with nutty almond notes and no astringency. 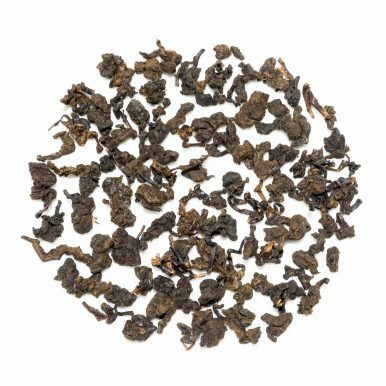 Santikhiri Black Pearls is a black tea that is produced from a Jin Xuan cultivar that is most commonly known for being the leaf of choice for Milk Oolong. This tea comes from around Santikhiri village (formerly Mae Salong) that is located around the highlands of Doi Mae Salong mountain, close to the border with Burma and Laos. Santikhiri Black Pearls tea is grown at an altitude of around 1,200-1,600 metres and was plucked in August 2016. When this area of Thailand went from growing opium poppies to sustainable tea growing, many tea cultivars were imported from Taiwan in order to quickly establish a booming tea industry. Taiwanese cultivars were particularly attractive since the growing conditions that the Taiwanese cultivars were selected for matched well the growing conditions of northern Thailand. Furthermore many consider Taiwanese teas to be of fantastic quality hence fetching a premium price, something Thai tea growers were understandably attracted to. 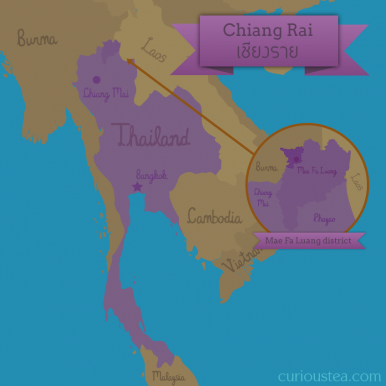 It is safe to say that while teas grown in Thailand still have some way to go in matching the top tier Taiwanese teas, the offering from Thailand is certainly of a very solid quality and generally an attractive price point for consumers. This Santikhiri Black Pearls tea is a black tea that is made from the Jin Xuan Golden Daylily (金萱) TRES #12 cultivar. This cultivar is used in making Milk Oolong and is famous for its creamy and milky aroma, mouthfeel and taste. However this Santikhiri Black Pearls tea has a real twist. 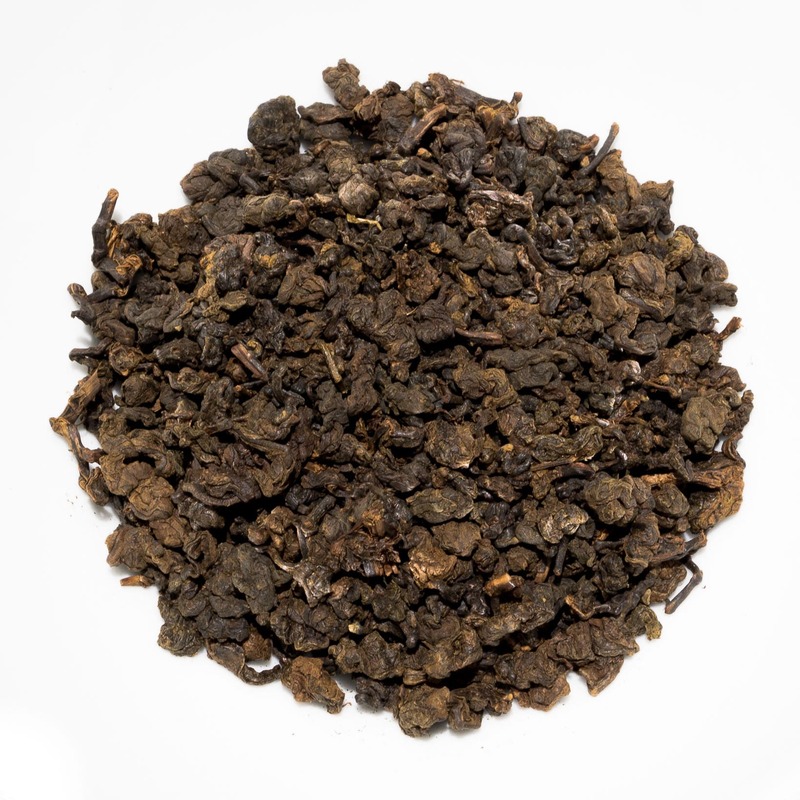 Instead of keeping it as a partially oxidised Milk Oolong, it has undergone almost full oxidation (85-90%), resulting in a tea that is black, or almost black. 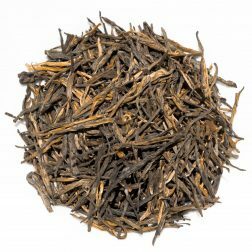 It is hard to call this tea ‘completely’ black as the character is very light and it exhibits minimum tannins and aftertaste associated with black tea. 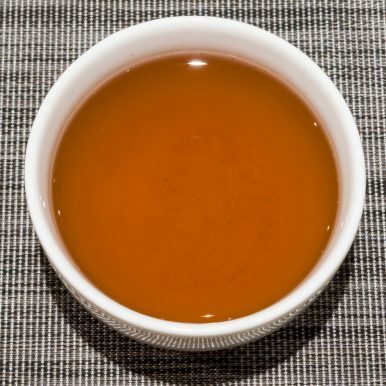 Perhaps it is more similar to a Dian Hong (Yunnan Red) type of tea that also undergoes oxidation in the 80-90% region. For reference, most teas that are described at ‘black’ undergo oxidation of 90%+. 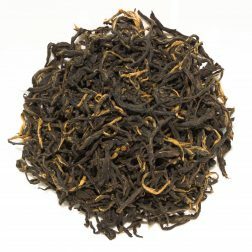 However there are always exceptions, such as Darjeeling First Flush teas, some of which can be of very low oxidation levels, yet are still classed as ‘black’ teas. 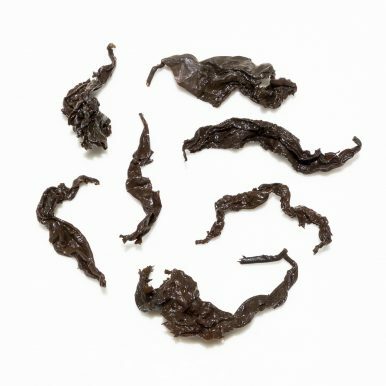 Santikhiri Black Pearls comes in tightly rolled oolong style large leaves that resemble pearls, hence the Black Pearl moniker. The amber liquor has a nutty and sweet creamy aroma. The taste is quite light and smooth with sweet, creamy and malty notes of nuts and cocoa. There is no astringency or tannins, making this a super smooth and balanced cup of tea. We suggest brewing at 90°C for 3-4 minutes according to your taste. 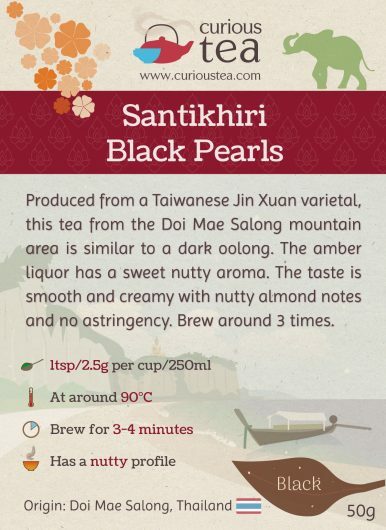 Santikhiri Black Pearls tea can be brewed around 3 times. 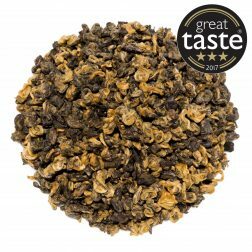 This Santikhiri Black Pearls tea was first featured in our February 2017 Curious Tea Subscription Boxes. This Yunnan black tea is grown high up in Zhenyuan County. It produces a smooth and complex liquor that is sweet, yet mineral with a slight vegetal aftertaste. 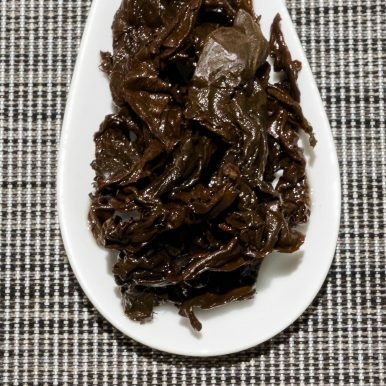 A satisfying and smooth black tea hand made by rolling buds into snail shapes. The liquor is sweet and malty with no astringency. 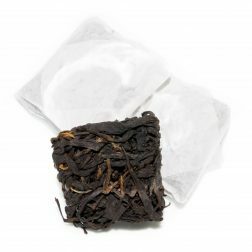 Zhang Ping Shui Xian Black is an unusual square-shaped tea from China. The mellow brisk liquor has a smooth and balanced flavour with sweet buttery notes of cocoa and malted rye. Made according to Classic 1938 recipe, the long delicate golden-black leaves are completely hand processed. The liquor has a sweet and malty taste, with no astringency.